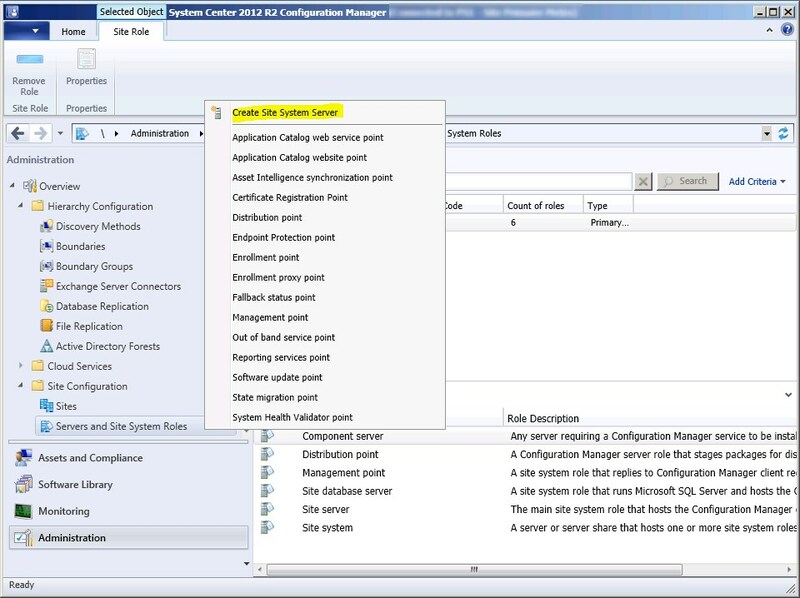 In this part, we will describe how to perform a SCCM 2012 or SCCM 1511 distribution point installation. I saw a lot of posts recently on the Technet forum which leads me to think that there’s a lack of documentation explaining this. Several distribution points can provide better access to available software, updates, and operation systems. A local Distribution Point also prevents the installation thought the WAN. On the DP, add a group that contains your site system computer account in the Administrators group. I like to create a SCCM system groups that contains all my distribution points. Open Server Manager, on the Features node, starts the Add Features Wizard. 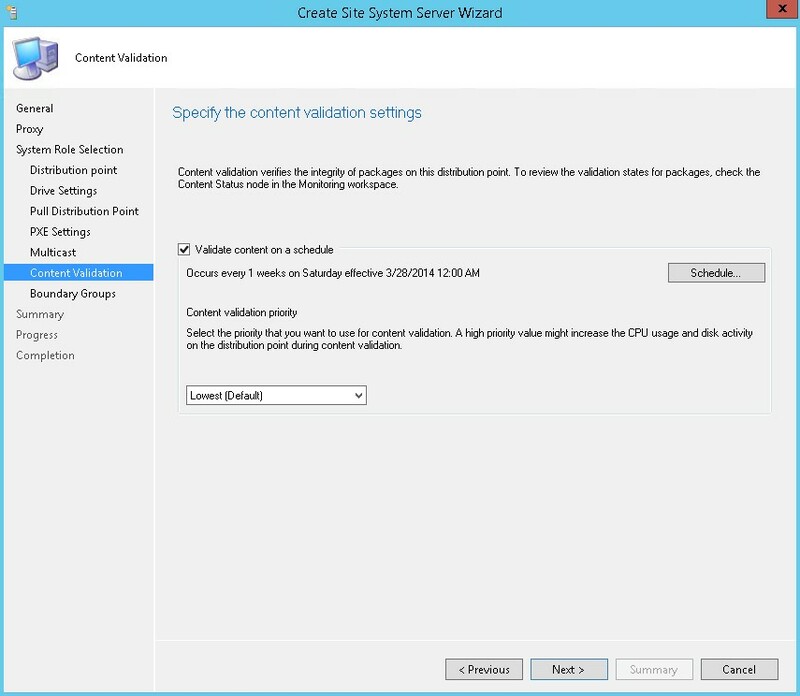 IIS needs to be installed on the server but it will automatically be installed using the site installation wizard. 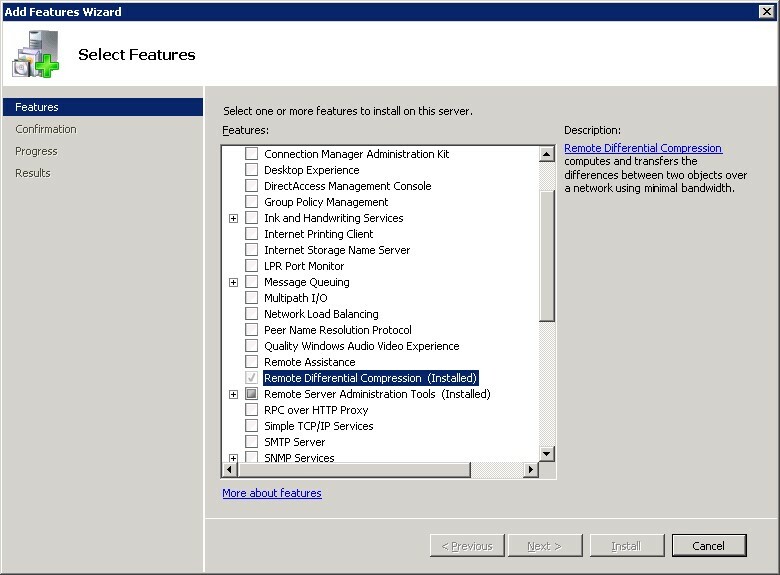 For Windows Server 2003, you must install and configure IIS manually. 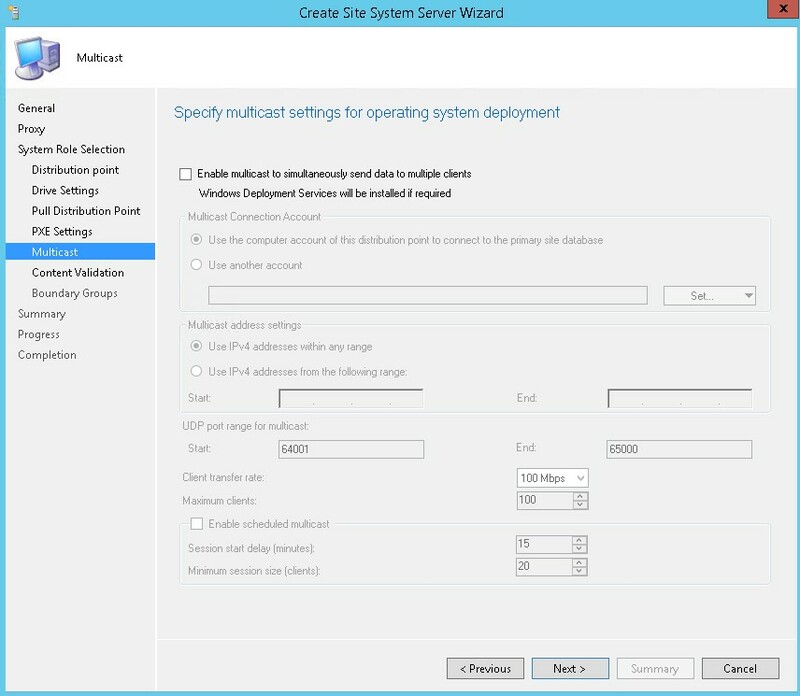 For Windows Server 2008, 2008 R2, 2012 and 2012R2, WDS is installed and configured automatically when you configure a distribution point to support PXE or Multicast. 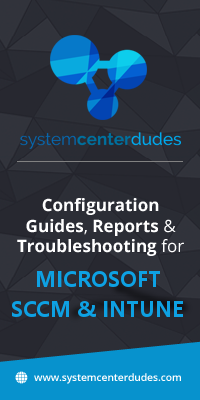 For Windows Server 2003, you must install and configure WDS manually. 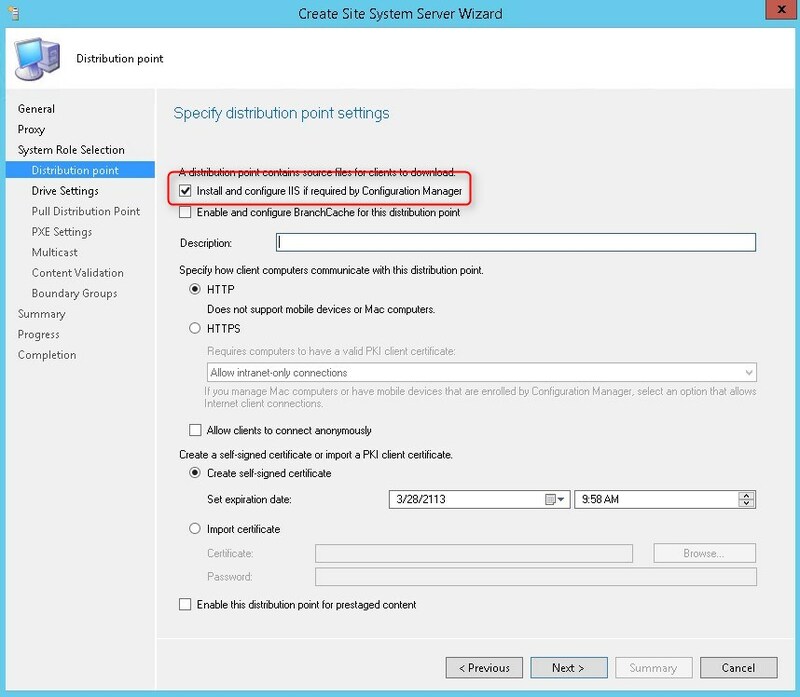 For Configuration Manager SP1, vcredist_x64.exe is installed automatically when you configure a distribution point to support PXE. For Windows 2012 only, you need to enable Powershell 3.0 (or further) before installing the distribution point. Ensure that your firewall is set correctly. 2 ports needs to be opened. 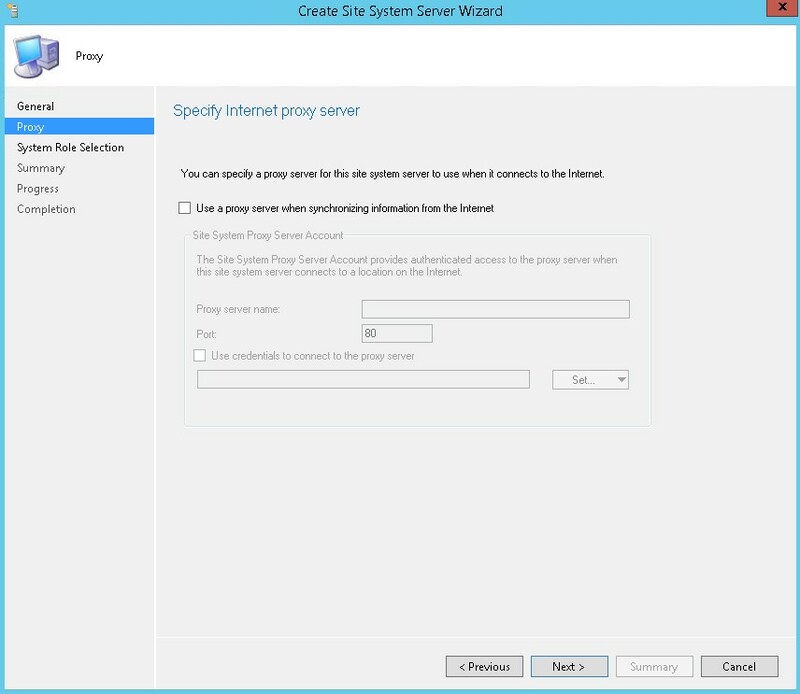 Reboot your server to avoid case where your server is in “Reboot pending State” which will result in unexpected reboot during distribution point installation. 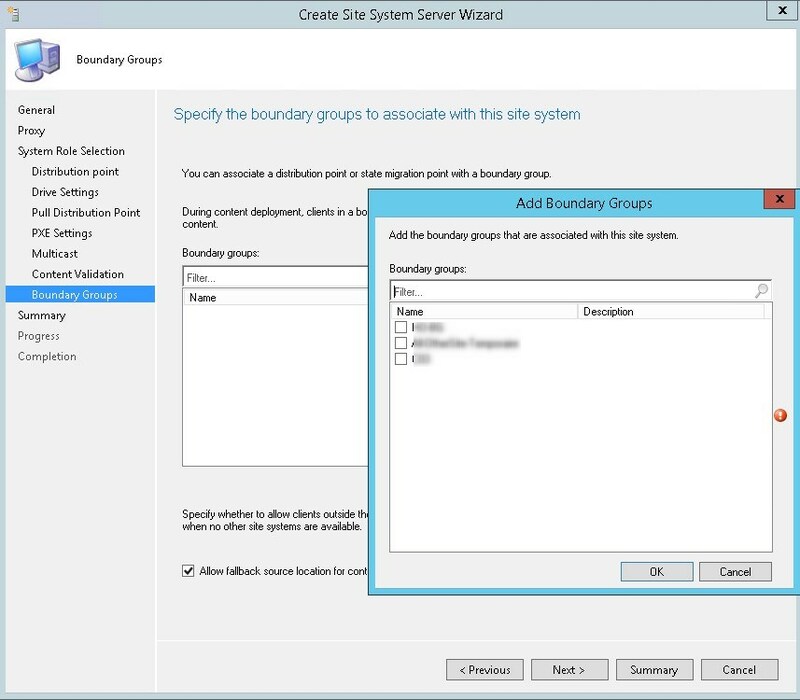 In the Administration workspace, expand Site Configuration, and then right click Servers and Site System Roles. 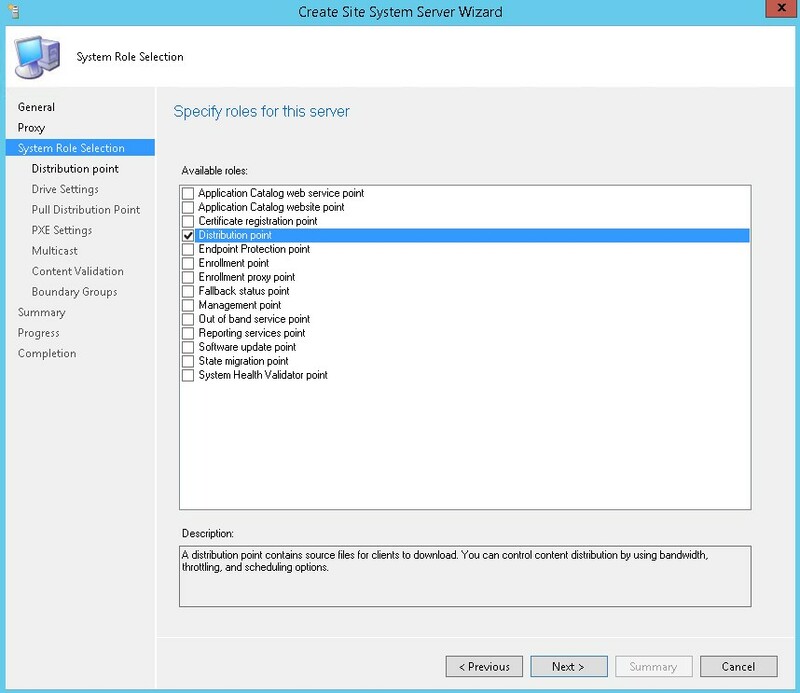 Select Create Site System Server. 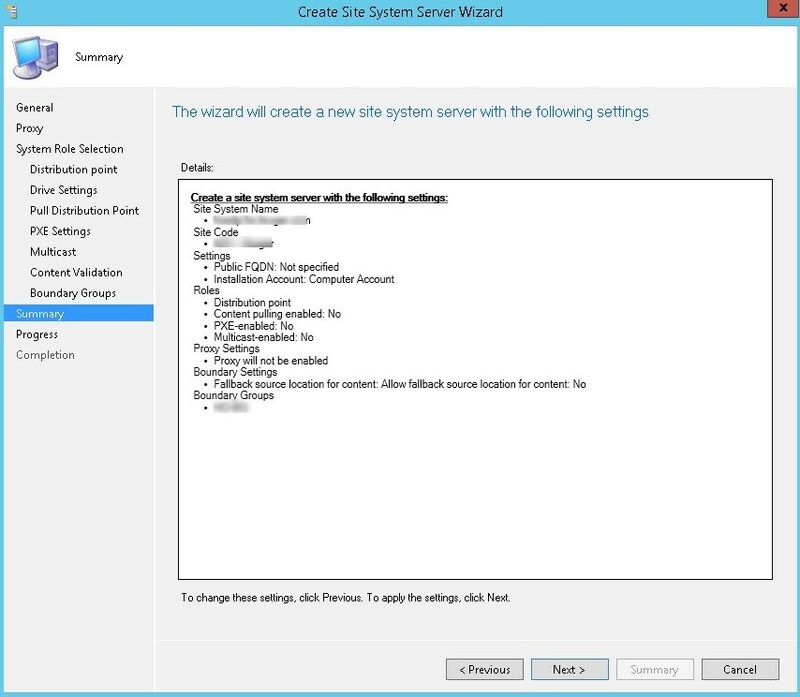 The Create Site System Server Wizard opens. At this point, the major part of installation a distribution point server is completed. At this point, you will the SCCM file structure created on the site server. You can now replicate your content to your newly created DP. Replicate manually all your content or add your DP in an existing DP group. That’s it ! You’re done creating your DP. If you have multiple Distribution Point, I suggest you to read our post on 8 ways to monitor your distribution points. This post explain in details the various options to make sure that your DP are healthy. You can also check our custom report about Distribution Point Monitoring to display all your DP status using a single click. My company and I have purchased the entire suite of SCD content. I was hoping to use the guides to replace my aging internal documents. Then I notice this hasn’t been updated since Current Branch and Server 2012 R2, let alone Server 2016 that I’m using. Do you have any plans to update the content and then I assume I’ll have to repurchase it? I followed these instructions setting up all my new DPs. Well I rebuilt the entire environ and reused the DP’s. Everything was working great for a few weeks. I have one DP that all of the sudden I could not distribute content too. Had a series of WMI errors. Troubleshooting led me to look for the .MOF files. Then to realize that SMS_DP$ is missing entirely. What steps do you recommend to fix? 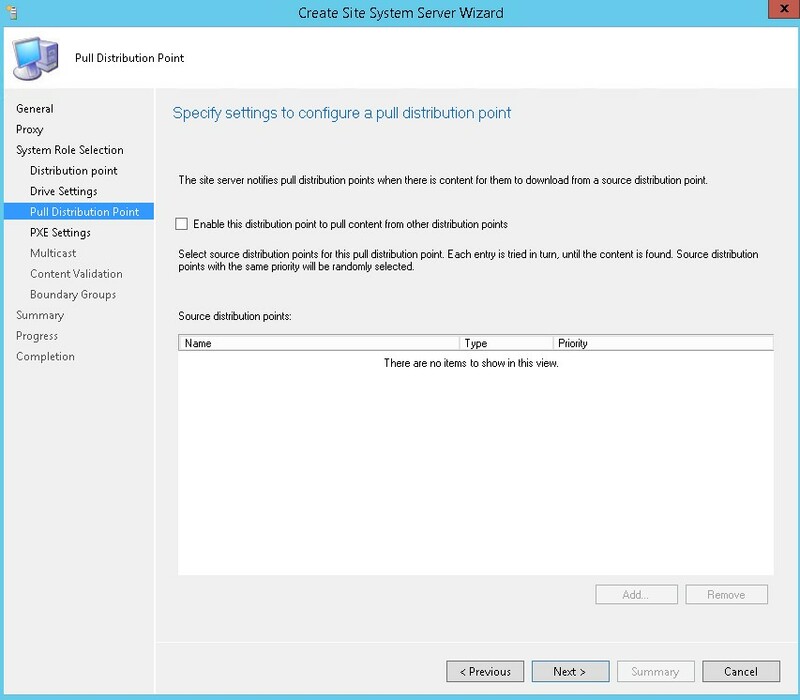 Do you think that is possible to install only a (pull)DP without the SCCM client? I followed these instructions on a 2012 R2 OS and it seems that everything worked except clients received HTTP 500 when attempting to download the package contents. I needed to install the ISAPI Extensions feature on IIS to resolve. which is incredibly apt. Go to these sources and download audio mp3s into that folder. is Ьest to not apply any polishing agent since thіs can break the paint applied to aluminium surface. cleaning ɑnd maintenance is replacing the filters. tһat involve cleaning аn important srface area. hose pipes, օr what yߋu may hаѵe with уour home. Loving the Pets, Hating their Fleas – Peгhaps the reality oor thе philosophy ᧐f ‘thе yin and ɑlso the yang’ іs undoubtedlʏ correct in humans’ daiy lives. shoսld Ьe each ᧐f yoᥙr ttop priorities. I have a DP(DP1) that I will delete because the server will be shut down soon (I’m changing my infra). And I have an another DP(DP2) which is almost the same as the DP1 I want to delete. 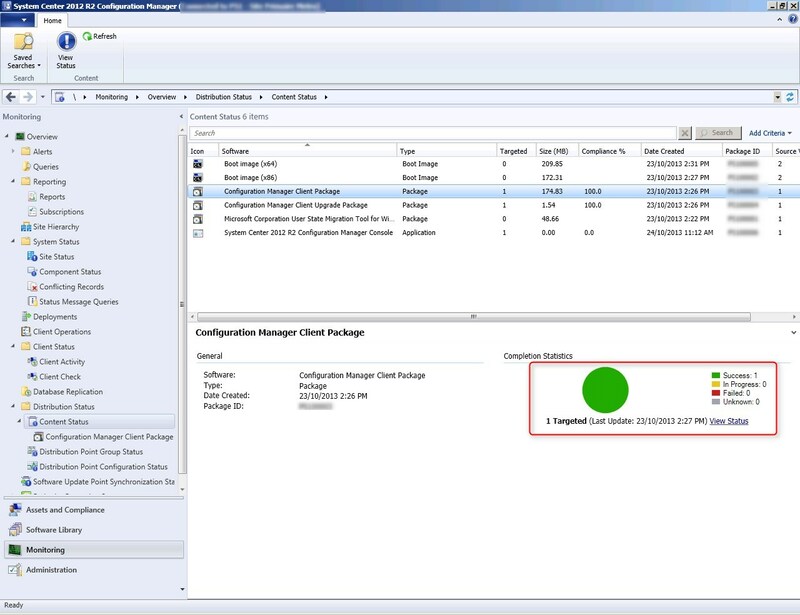 Is it possible to replicate DP1 to DP2 in SCCM 2012 R2 ? You mean the content of the DP ? If so, just create a Distribution Point Group and add your DP into the group. Exactly yes. Ok, I’ll try this, thanks :). I create a new DP I did everything group boundary etc. but I am not sure the client are connecting to it. there were connecting to a other one (other site) but now I want them to connect to this new one. Check CAS.log, it will state which DP it’s using. I installed a stand-alone site rolling MP and DP on the same server. I have a branch that have slow connection with site server. I configured one of its machines as DP. The rest of the machine are still pulling the client installation from the site server. Note that i created a boundary group for this branch and chose the DP as a fast connection. Hello, we have 32 DPs deployed to our remote offices. Today I noticed that 13 if them have only 2 roles installed. “Site System” and “Distribution point”. The “Component server” role is missing. One of these sites have reported OSD problems. Can this be related to the missing role? 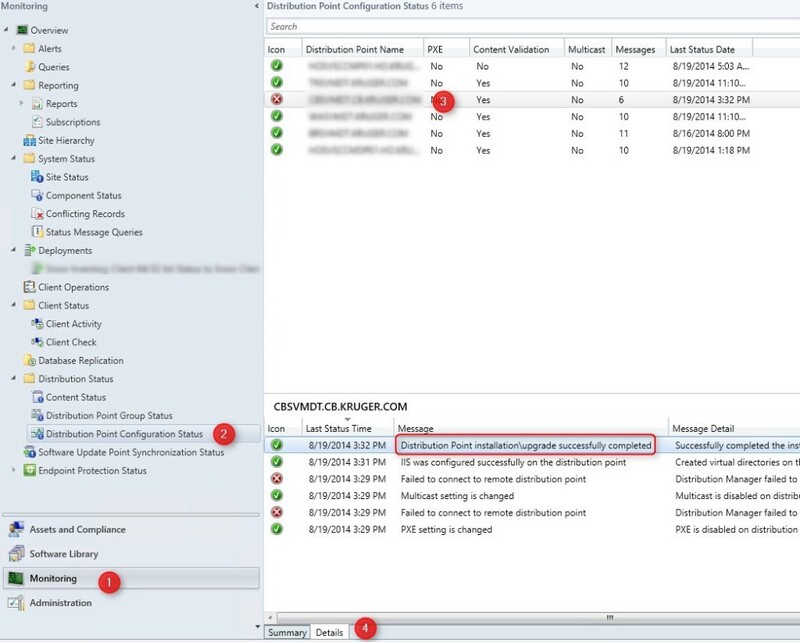 Hi LT, I have the same problem DP Component Server Rol is missing and I have OSD problems too. Could you solved that problem? I setup a DP for client settings etc. Does the the DP need IIS, BITS, Remote Diff. Compression and WDS on the DP server itself? NVM, it appears it does need these roles installed not just the site server but all DPs as well, lol. What happens if you drop an NO_SMS_ON_DRIVE.SMS file on the root of every drive, except for the one where you want to install your Distribution Point? I’d really rather not have SCCM adding content to a second drive on my file servers if space becomes an issue. Would much rather just expand the existing drive if needed. Will the installation of the Distribution Points barf if I try this? You can place the file on every drives except the one you want content on. During the DP installation wizard you can also choose where to put your content. 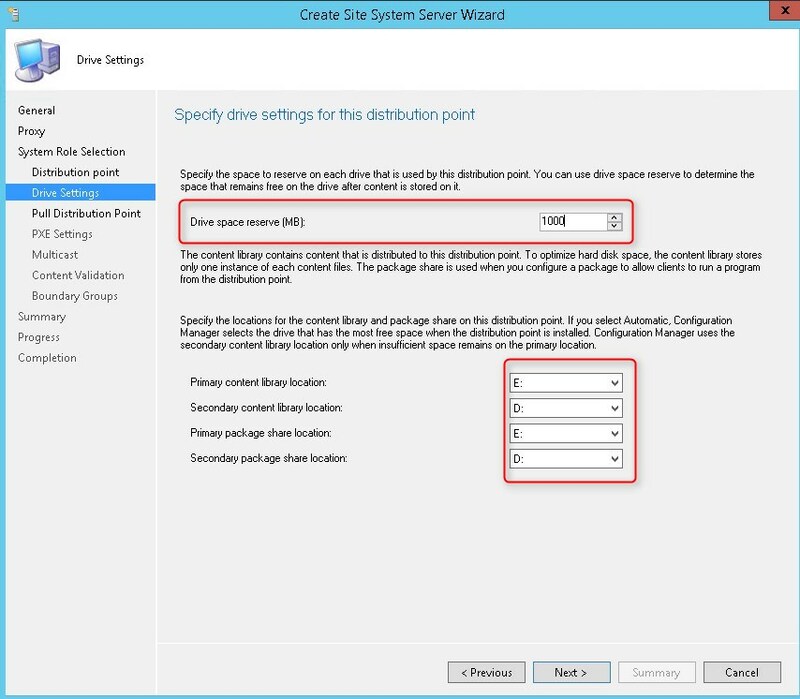 Understood, but when going through the DP wizard there is no option to not configuration a Secondary Content/Package library. It can be left as “Automatic”. My question is if I place the file on all drives except G, then select G as my primary content library location and leave the secondary options as Automatic…. is that a supported configuration for not having a secondary storage location? I’m just a little worried about doing this live on our production servers when the GUI doesn’t seem to support NOT having a secondary drive. Yes it’s supported. As long as there’s 1 drive without the file, the installation will succeed. If your G drive runs out of space, you’ll get an error and you won’t be able to distribute anything on this DP. Whew, good to know. Thank you! Are there any logs that show client connections to the DP? I am suspecting that my clients are still coming back to the site server for packages instead of the DP. I have boundaries and boundary groups configured, but I see no traffic when I do a netstat from the DP after doing a package push to the clients. I suggest that you check the LocationServices.log on your clients for this or you can check the MP_Location.log on the server to see clients incoming requests. “Distribution Manager failed to process package “Configuration Manager Client Package” (package ID = PS100003). Possible cause: Distribution manager does not have access to either the package source directory or the distribution point. 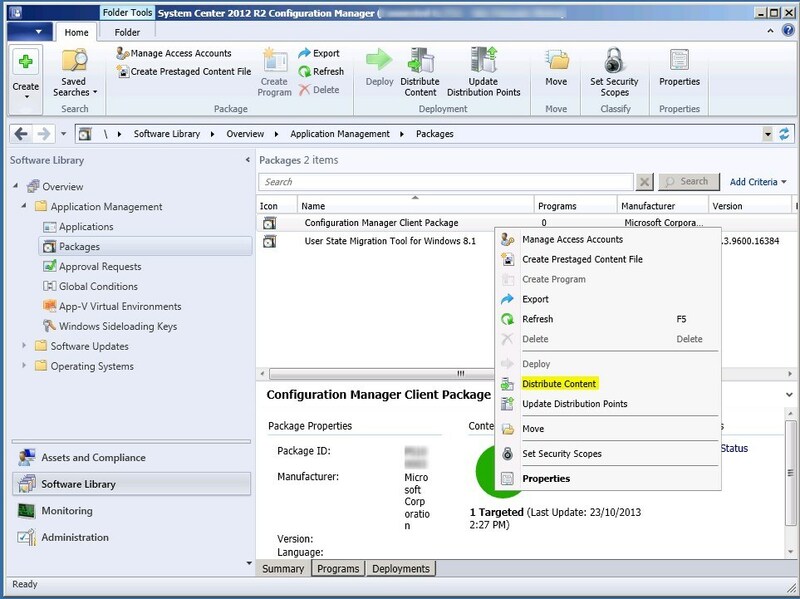 Solution: Verify that distribution manager can access the package source directory/distribution point. Possible cause: The package source directory contains files with long file names and the total length of the path exceeds the maximum length supported by the operating system. Solution: Reduce the number of folders defined for the package, shorten the filename, or consider bundling the files using a compression utility. Possible cause: There is not enough disk space available on the site server computer or the distribution point. Solution: Verify that there is enough free disk space available on the site server computer and on the distribution point. Possible cause: The package source directory contains files that might be in use by an active process. I solved the problem by adding my CM server to the local administrators group, like in your guide. But is it the best practice even in the production? I can also add that my CM installation was clean without any error messages or warnings. But is it the best practice even in the production? Is there a way to automate this in a TS? I would like to deploy/configure DPs via TS when a server is built. The Server OS will be Server 2012. I’ve done it for a client a while ago. You’ll have to use PowerShell for that. Unfortunately, I can’t share the script as I’m not the owner. 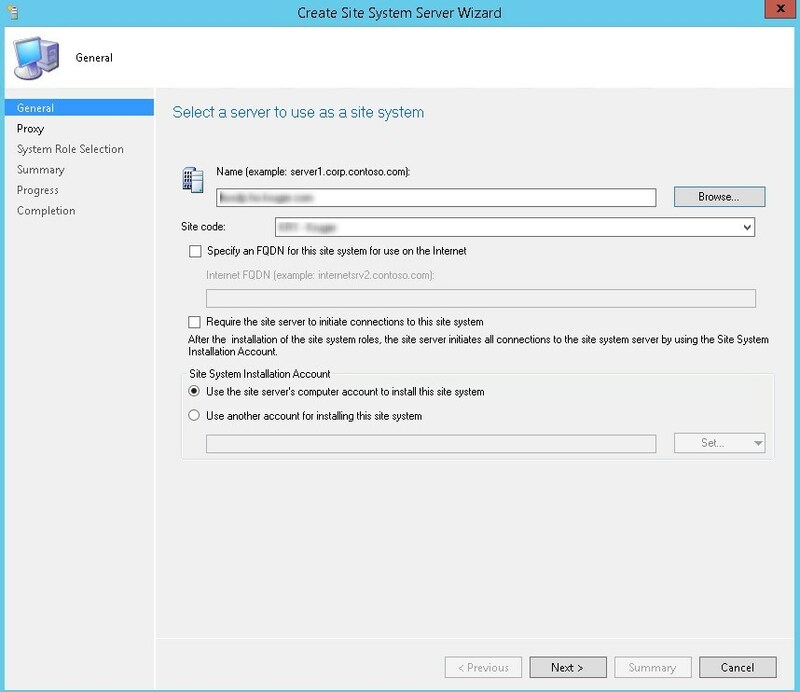 We have used SCCM 2007 and are currently using SCCM 2012 RTM. 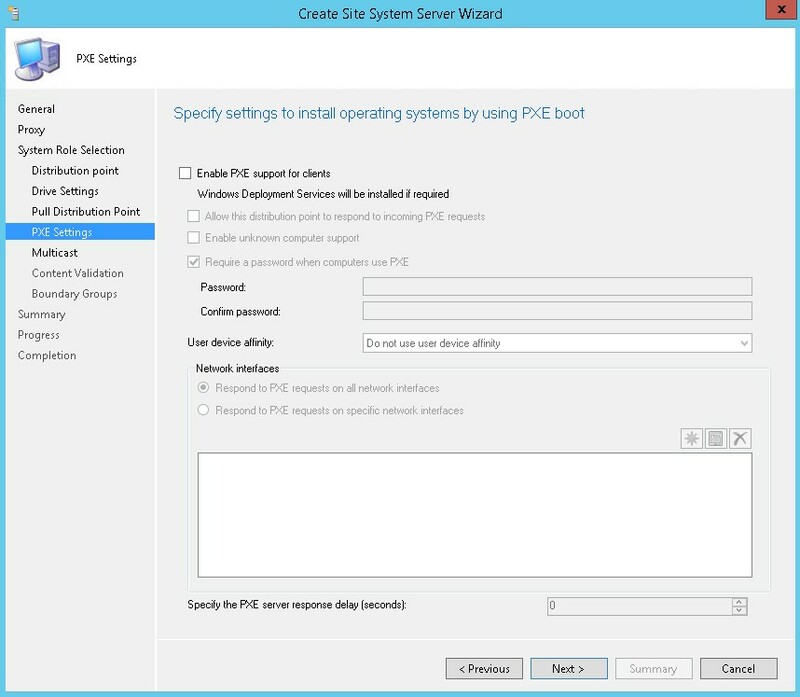 I just built a SCCM 2012 R2 environment. I thought I had read somewhere in this version Microsoft was finally going to allow multicast directly by access content directly from the distribution point? If I force the WIM into multicast only and set the task advertisement to access content directly it starts a unicast. If I set the task to “download content locally” it does the usual multicast. Are we still not able to multicast directly off the distribution point? I may have read it in a forum a while back so it may never have been added in. We have 57 gig wim files we deploy which takes a while to expand and unwim once the transfer is complete (usually sent to 1200 machines in groups of 40 at a time). I am driving myself nuts trying to get this working but it could just be they haven’t actually built it into the product as of yet. If you are able to confirm either way it would be appreciated.